Needwood Baptist Church, originally named Broadfield, was organized in 1866 shortly after the end of the Civil War, and became part of the Zion Baptist Association which had formed in 1865. 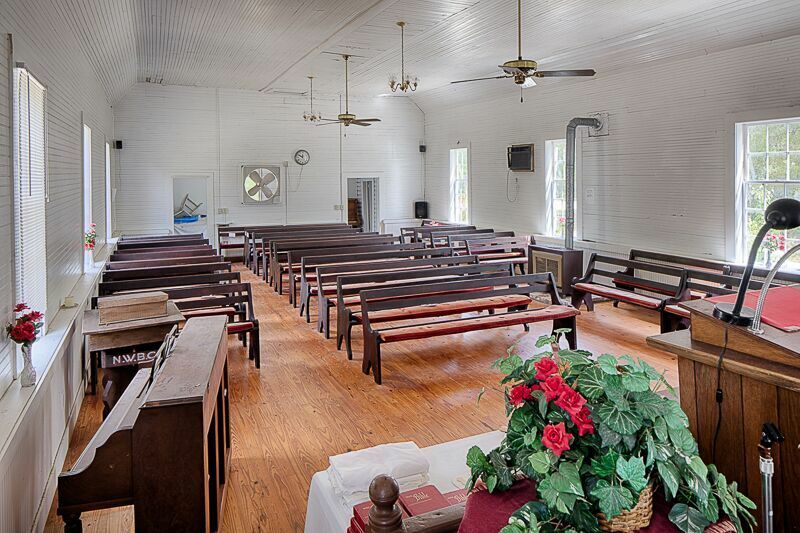 The church was organized by former slaves of the Broadfield and Needwood Plantations located nearby. 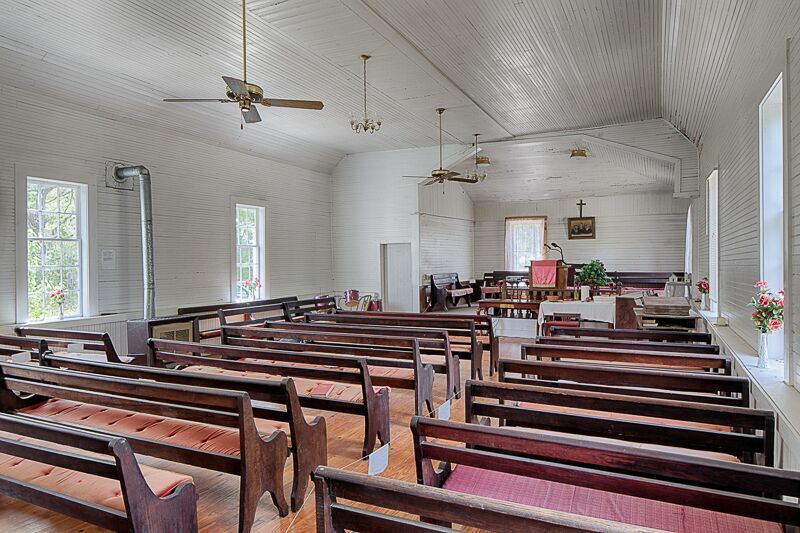 The church was originally located on land belonging to the Hofwyl – Broadfield plantation, now a state owned historical site located one mile away. The church continued at this site until it was moved to the present location sometime in the 1880’s and the name changed from Broadfield to Needwood. It is believed that the original structure was built in the 1870’s, according to the National Register, and the towers were added sometime later in the mid 1880’s. 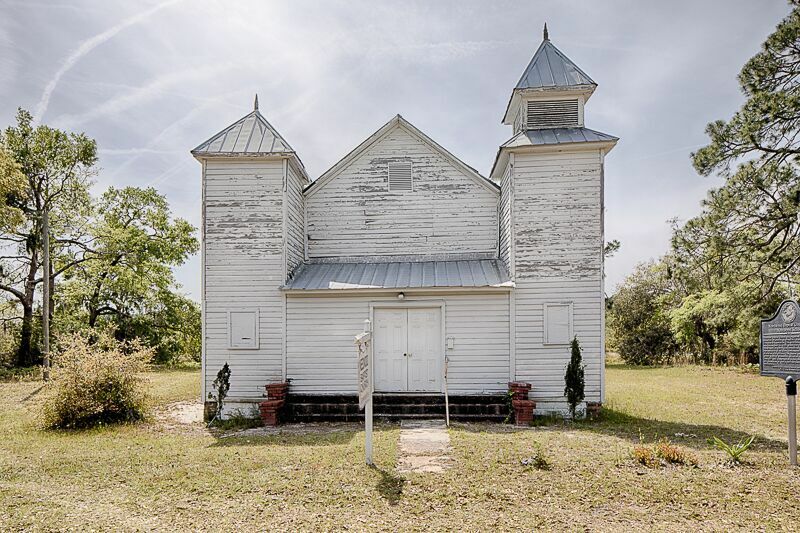 Architecturally, the church is representative of many African American places of worship constructed in the decades following the Civil War—simple and lacking in ornate ornamentation. On the inside, wooden “tongue and groove” boards compose the walls and the ceiling, and plywood covers the original wood floors. The pews are original. The frame itself was constructed in the “modified post and beam/balloon” style, which was popular in the 1870s. Believed to have been cast in 1884 in Baltimore, the bell in one of the towers is perhaps the most iconic and significant treasure in the church. On the same plot of land as the church lies a one-room schoolhouse, believed to have been constructed prior to 1907. 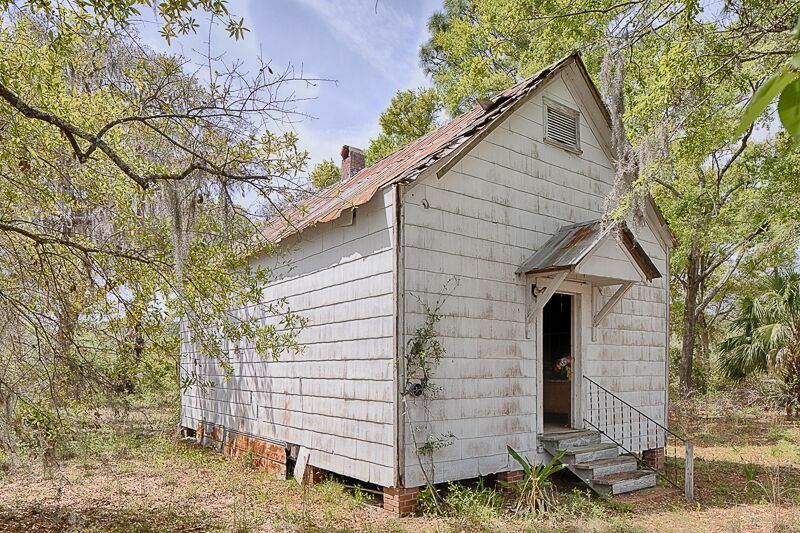 Very few of these one room schools built to serve rural African American children survive today. The school was originally not part of the Needwood church, but the church acquired the school property in 1954, after the school was closed. Prior to integration, many schools like these were the only access that some rural African Americans had to education. Up until the mid 1950’s, black children were not allowed to ride on county school buses. The only support from the county was the teacher’s salary. When the Needwood School students graduated from the sixth grade, they attended Risley Elementary in Brunswick but they had to use commuter tickets each day on the Greyhound bus to get there. Many of the Needwood church members recall relatives attending the little school, which was so important to the community. The Needwood Church and School was placed on the National Register in 1998. You can access the document here. It is a tribute to the congregants and the original families who have kept the facilities in decent repair. However, the familiar story of declining congregations and limited funds are taking their toll. Needwood is arguably one of the most historical examples of the post Civil War African American experience in rural Georgia. She is a treasure that must be preserved so that these stories can be told properly for generations to come. In this full frontal photo, we see a handsome twin towered, single gabled structure that has hints of a Norman pedigree. The sanctuary dates from the 1870’s and the towers were added c. 1885. 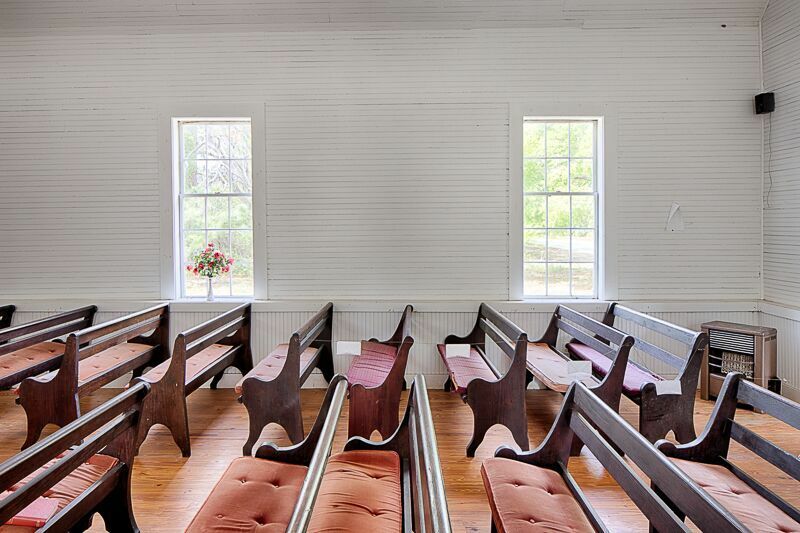 Needwood is designed in a style that was quite common among rural black churches constructed during the last quarter of the 19th century and into the early 20th century. Since most of these structures were built in separated, rural areas, without advantage of having an architect, by freed slaves using local materials, how did this style continually show up across the entire state? One guess of ours is that these recently emancipated slaves were able to pass… by word of mouth… a description of striking, double towered churches they had seen that were more grand than the usual rectangular, single gabled churches found in Georgia at that time. This mighty fortress could have had particular appeal to its newly freed constituency. No matter how this design became popular, these monuments to the founding period of black church organizations in Georgia should be documented and where possible preserved for future generations to enjoy. Here we are looking toward the chancel from the right rear section of the large, Needwood sanctuary. Remarkably, the interior view today is very much like what it would have been when this church was first constructed. Once again, without architectural plans, the interior architecture is similar to the more grand churches that were being built in rural Georgia in this period. The suspended truss design allows the ceiling to be raised creating a cathedral-like atmosphere. Behind an attractive, cased opening, the chancel, pulpit and back-lit apse rest beneath another raised ceiling. Painted white throughout, this sanctuary presents as a bright, warm and welcoming meeting house. Needwood’s interior, though showing wear commensurate with its nearly 150 years of age, remains in fair to good condition. According to the National Trust application, remarkably, the church contains many old furnishings and artifacts. 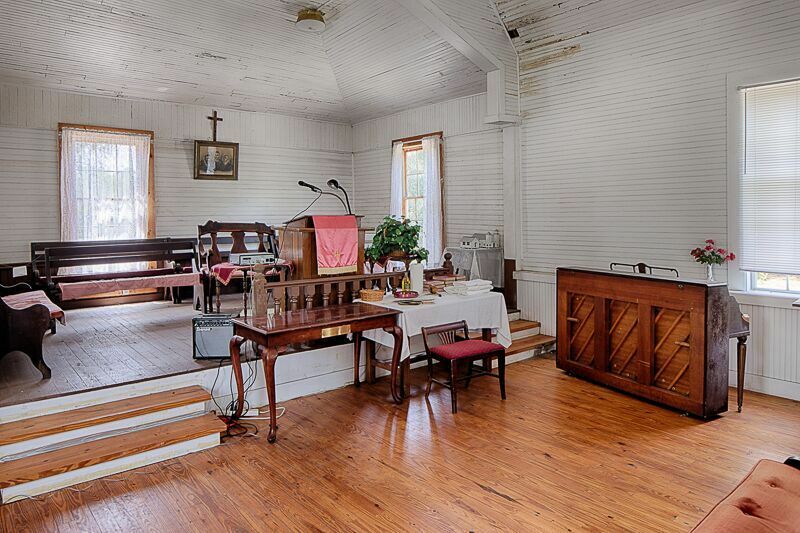 The sanctuary contains the old pastor’s chair, pulpit, table, old baptism set, chalice and an old spittoon. 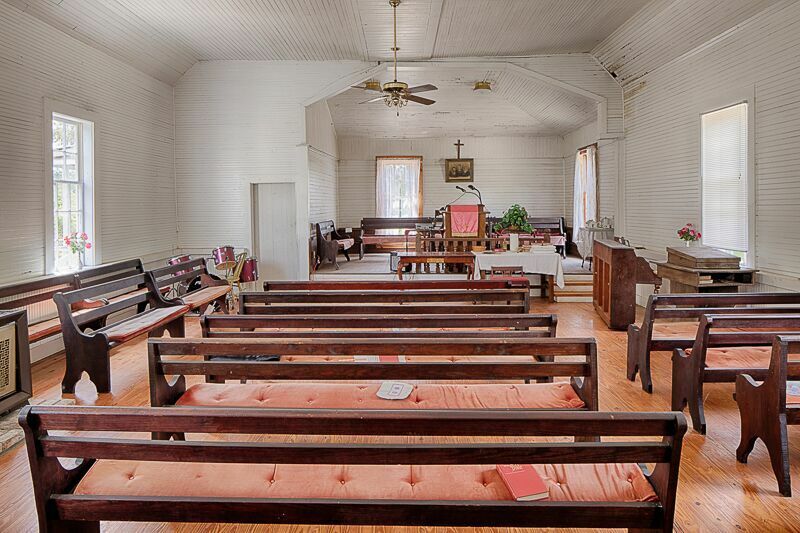 Above we also see approximately 30, dark pine pews which are said to be the originals. That claim is supported by the fact that they show evidence of hand-sawn kerf marks and “whittle” marks on the side brackets. This close up of the chancel reveals the water damage that is threatening Needwood. Above the piano at the cased opening, clear signs of roof leaks are seen. Water damage is also evident around the ceiling globe light. On the other hand, the neat and attractive chancel area provides evidence of the congregation’s attempts to maintain their church as best they can. Here we have a view of the entire sanctuary from the left of the chancel. Almost all we see is original. The National Trust documentation describes the interior as, “wood-tongue-and-groove board, both ceilings and walls. The floor is plywood which is said to cover the original wood planking. The wall boards are mounted horizontally, except for a wainscot of vertical boarding approximately three feet high. Lumber used in the construction is a mixture of hand-hewn timbers and milled material. The ceiling joists which span the width of the structure are hand-hewn timbers while the rafters are mill-sawn lumber. Cut nails are used throughout the structure.” The authenticity of this church building is reason enough to justify its preservation for future generations. This view from the rear of the church reflects the good news and the bad. On the “good” side, clearly, the church is in stable enough condition to be restored and preserved. On the bad side, the leaking roof and other problems, if not soon addressed, will lead to the rapid demise of this historically, culturally and architecturally import landmark. The Needwood congregation has dwindled to a small group making general maintenance difficult to stay on top of. Critical preventive maintenance issues are presently impossible to address financially. We hope they succeed in their efforts to rally the support of those who revere Needwood and save this old church. The interior of the school building is in disarray as evidenced by this interior photo. 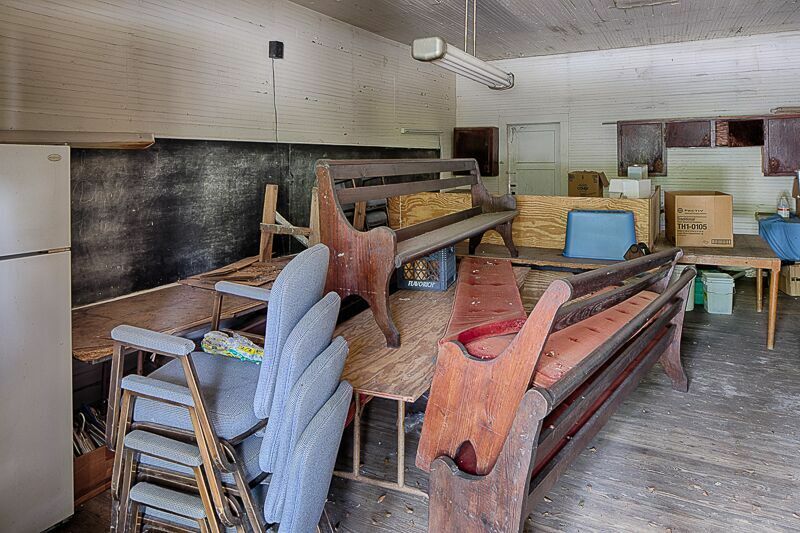 Clues to its “school house” past are the blackboard, some old desks and other items used in a teaching environment. 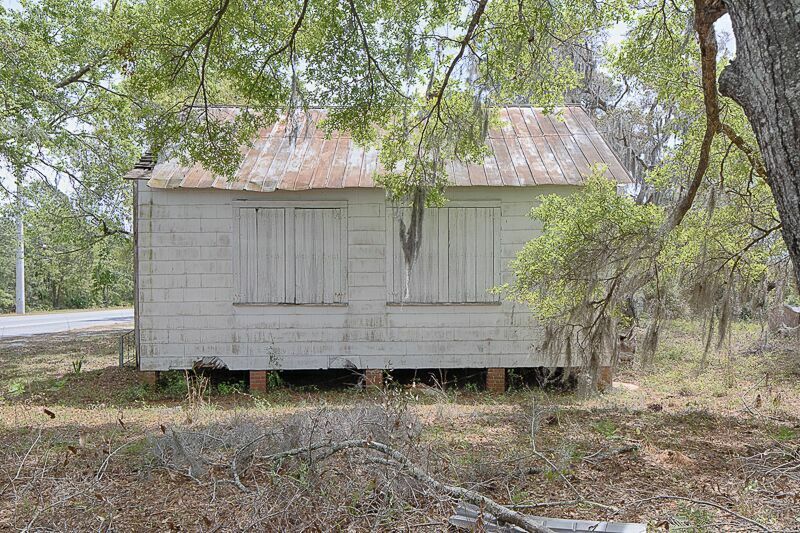 Its interior sheltered from the elements by its wooden shutters, masonry tile siding and tin roof, the old schoolhouse still remains standing. We would hope that the congregation will be able to restore this monument to black educational perseverance as well as the historic Needwood Sanctuary… both are worthy. Beautiful church. Enjoy seeing and reading about the churches. Absolutely stunning! I love history and old churches, schools and barns !All worth preserving…..